Artificial Intelligence technology has come a really long way and is believed that it will either become a perfect slave or master us completely in the coming years. Basically, Machine Learning is the mastermind behind the AI and they are given large sets of relevant data that helps in automating tasks. It has transformed almost every field we can think of, but it is slightly unbelievable that it has impacted the area of arts, music, and paintings as well! These days, companies are using AI and robots to create a perfect piece of art. No doubt, that new technologies are pushing the boundaries of imagination and creativity. However, the artists should not be worried about it. 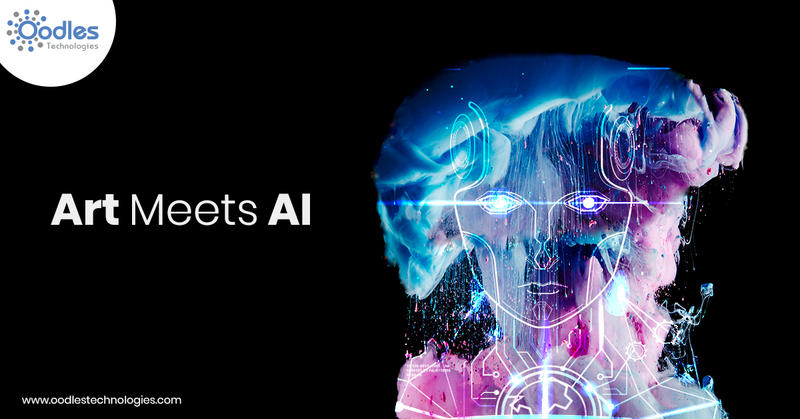 Art is an expression of our imagination to use AI that could help us evolve. But the question that arises is, why do we create art? The answer is very simple, it gives us the power to express our emotions, recall past events and also to educate and send powerful messages. Painters draw from their memories and inspirations to express who we really are and similarly, art gives us the opportunity to communicate beyond words. AI has also been trained to act and function just like any other human being by using neural networks. It is fed an sonic information through visuals which stimulates it to create its own visual variations. Artists and painters are using the new tool in the era of digitalization to engage with more customers. As AI is faster, reliable, accurate and efficient than human beings, it is also capable of performing several tasks in a limited time. However, it was earlier believed that art is something that is the result of creativity and imagination and the similar concept cannot be applied to the data. But in fact, if we go a little deeper, AI is a reorganization of the existing information into different patterns and it is really good at it. Though things get pretty confusing and complicated in visual arts still AI is a much better learner in the context of images rather than creating on its own images. A few years back, Google created a tool called DeepDream that helped in creating images, which looked more like hallucinations rather than an actual piece of art. AI has a lot more applications than just painting such as, Auto coloring of images, converting brush strokes into drawings and many more. We can see, currently, AI and machine learning are almost ready to create a piece of art on their own. In other words, technology is bound to do what human beings want. But undoubtedly they can prove to be one of the best tools for an artist. Thus we should always be on a discovery to find new ways of collaborating with technology.